FIND OUT WHAT YOUR HOME IS WORTH INSTANTLY - CLICK HERE! 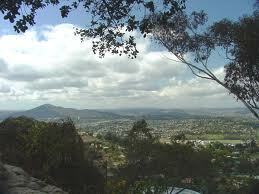 Mount Helix (Mt. Helix) is located in the mountains of La Mesa and is an upscale community with custom homes, many with spectacular panoramic views of the county and the surrounding cities. Mt. Helix offers all the beauty of living in the mountains while providing the convenience of the city. Houses range in price from $400,000 at the base of the mountain to over $3,000,000 for a custom estate on large lots, with 360 degree views of the area. The average house for sale in Mount Helix as of April 1st, 2013 is a 4 bedroom 3 bath, 2900 sq. ft. home for $754,000 with views to the pacific ocean. This community lies approximately 12 miles east of the Pacific Ocean, and is known as one of the many exclusive inland communities in the county. It sits on the edge of La Mesa with El Cajon to the East, San Carlos to the North and Lemon Grove to the South. Mount Helix has easy access to downtown, Mission Valley, Downtown Gaslamp District, Balboa Park, San Diego Zoo, Seaport Village, SeaWorld and the airport. It’s also in very close proximity to the Grossmont Center Mall in La Mesa. If you live in Mt. Helix, the younger school-age children attend the schools in the La Mesa-Spring Valley School District. There are a total of 21 elementary and middle schools in this district. Located in La Mesa is the Mt. Helix Academy, a private K-8 preparatory school. This school is proud to be a co-education and nonsectarian school. If you need to have your taste buds satisfied, you’ll enjoy the 50-year old Anthony’s Fish Grotto Restaurant and the Brigantine Restaurant. Both of these old establishments are popular with residents near and far. At the top of Mt. Helix you will find Mt. Helix Park. This particular area is known as one of area's most magnificent landmarks. People visit this park for many different reasons: simply relaxing, enjoying the peacefulness of the area, the spectacular views of San Diego, family picnics and even romantic weddings. Venturing down the mountain to the nearby community of San Carlos, Mt. Helix residents also enjoy the attraction of the highly-trafficked Cowles Mountain, known to be the most popular hiking spot in all of county. It has a well-maintained trail that reaches an elevation of 1591 feet. On a clear day, you can see 360 degrees around you with views of La Mesa’s own Lake Murray Reservoir, the Pacific Ocean to the east and Mexico to the south. If you’re truly an outdoor person who loves fishing or simply getting some fresh air, then check out Lake Murray. It has a well-maintained, paved shoreline path that takes you around the lake for 3.2 miles. It’s great for either walking, biking, running or rollerblading. The lake itself is extremely popular for fishing and boating. So if you like the weather on the warmer side, then travel inland from the shore and you’ll run into Mt. Helix where you’ll find a whole new world awaiting for you in this exclusive area of La Mesa.